The author writes about the Akashic Records and explains that God did not intend our lives on earth to be one big joyride but more so as a recurring educational process. The author then chronicles the writings and teachings of Edgar Cayce, in references to questions that we all may have, even in today's modern day era. It was interesting to learn that Cayce readings depicted Jesus as well schooled. Jesus had even traveled to other regions to study. 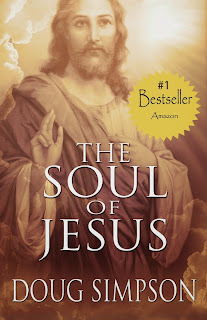 Through Simpson's chronicles the reader begins to see both Lord Jesus and the personified Jesus. A enlightening and unique read. This book is an excellent read for inquisitive minds who need to dig deeper to find answers to their personal questions relating to God, Jesus and the true reason for life. Thank you Theresa for the great review!